Why pay more when you can pay with Dines? 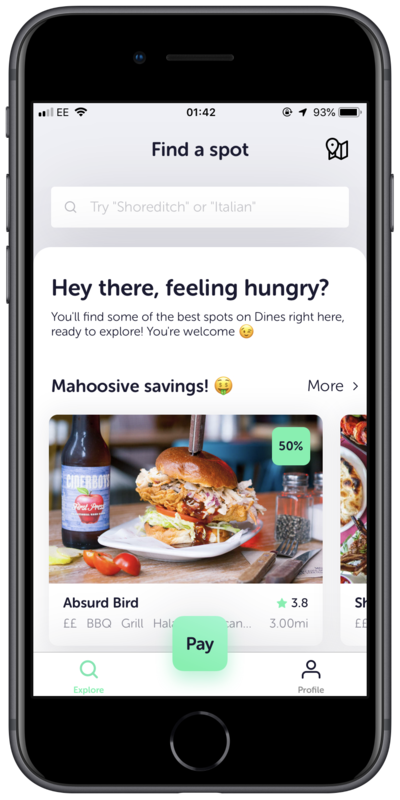 Get exclusive discounts at handpicked local restaurants with Dines. 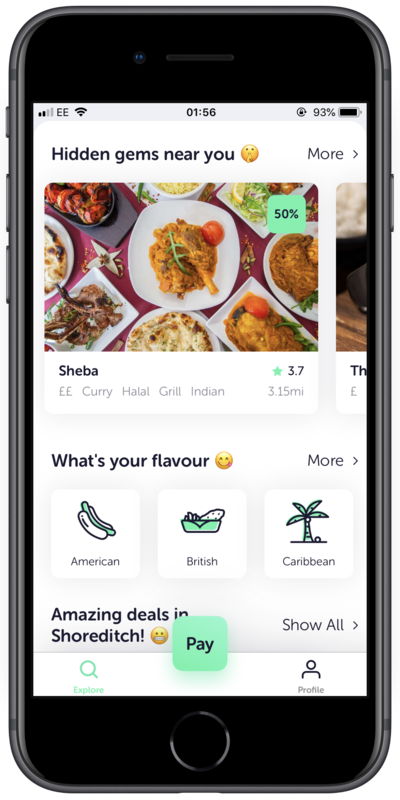 Download the free Dines app, find a hidden gem near you and get amazing discounts on delicious meals. It’s that simple. Split the bill with friends in a couple of swipes and pay for your discounted meal in just a few taps. Job done. We support all major cards and Amex as well as Apple Pay and Google Pay too, so there’s no excuse! For every meal ordered through the app we’ll donate another meal to charity. Take your pick from this week’s deals at our handpicked selection of local restaurants on the app or web. 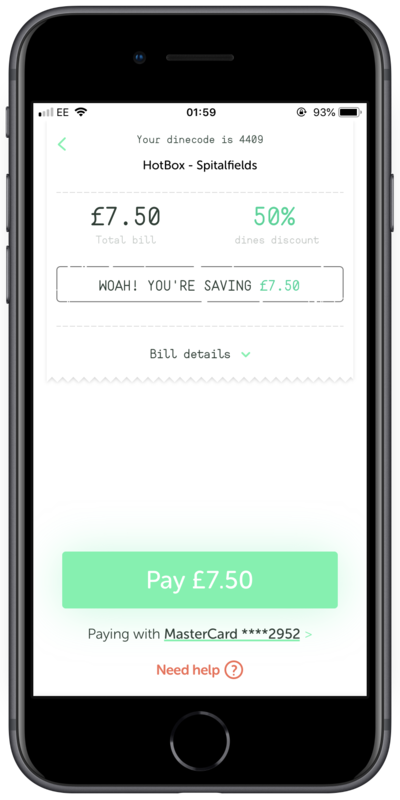 Rock up, enjoy some delicious food and tell your server you want to "pay with dines". Your server will give you a four-digit dinecode. Enter the code to pay for your meal. Splitting the bill? Everyone at the table can enter the code too. 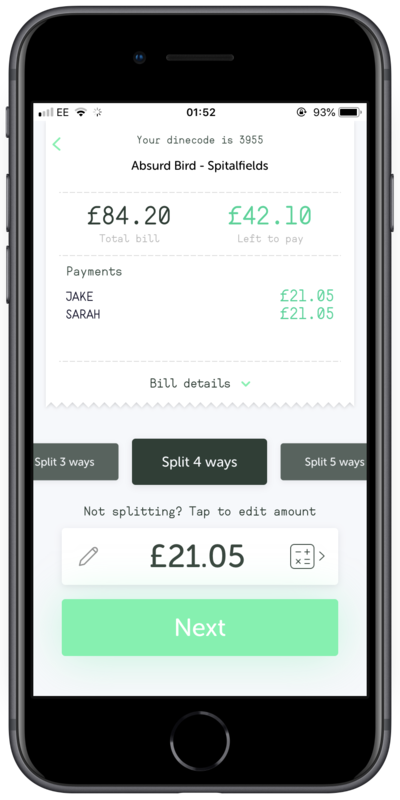 Just swipe to split and tap to pay! 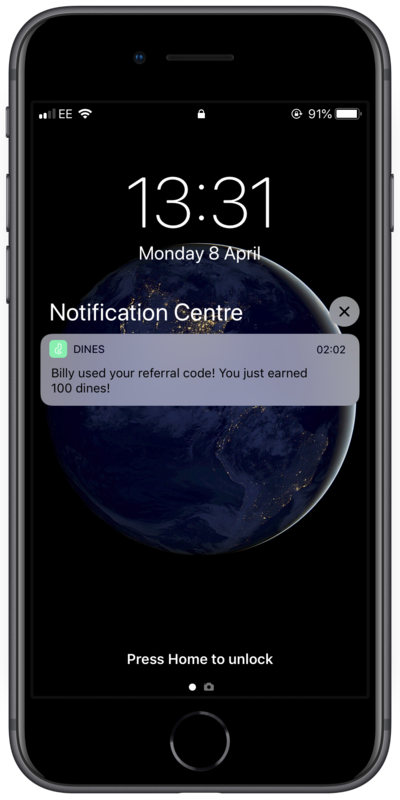 The dines app supports all major cards and Apple Pay and Google Pay so you’ll never be caught short. Everything is better with friends and eating out is no different. Which is why you can earn 100 dines points for every friend that you invite to use the app. Redeem your dines points for even more money off your meal with dines rewards.